Mark has a story to tell and it's grounded in his own recovery from failure and restoration to the church! A younger man and probably in his mid-20's at the time of his separation from Paul, Mark's story is well-told by Joseph Webb. There is little doubt that the fall-out from Mark's decision to leave Paul before the second missionary journey included Mark's branding as deserter. Did some mission continue in Mark's life in Cyprus, maybe with his cousin Barnabas? We will never know, but the mention of Barnabas, who left Paul with Mark, would have been like rubbing salt in an open wound for all who would remember their parting. Later on, while Paul is in prison, the New Testament Epistles mention Mark twice. He is listed as among those who are with Paul during his imprisonment. (Philemon 24, Colossians 4) Mark, now almost 50 years old, has returned to Paul, and is included in the list of co-workers. If the churches Paul writes ever see Mark again, they are told to follow Paul's instructions to "receive him." This is an amazing come-back! 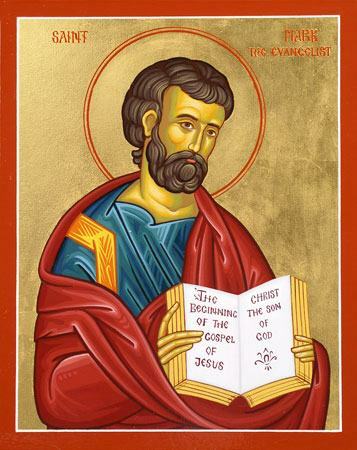 It's more incredible to think that Mark could have been around Paul until the very end, that is, the apostle's own martyrdom. But Mark's come-back is not finished. Like the young man who flees the scene on the night Jesus was betrayed, there's good reason to believe that Mark may well have seen his own experience of deserting the church as parallel to that of the disciples scattering. Mark 14: 50-51 Like the young man who is now dressed in white robe at the empty tomb on the first Easter, Mark tells the story not only of Jesus' resurrection, but also, his own restoration to and rebirth in the Christian community. For several years leading up to the complete destruction of the Jewish Temple and Jerusalem in 70 A.D. , the area was a war zone. Josephus mentions mass executions, when Jews were crucified en mass by the Roman military. So much for the Pax Romano. The church realized the dire need for a written story of Jesus Christ that could survive this rampage of Rome. When Mark is perhaps older than 50, he writes his story of Jesus Christ, most likely in haste and from an "undisclosed location" outside of Palestine. Having access to both the testimony of apostles like Peter (Acts 12:12) and the writings of Paul, Mark gathers these resources plus any fragments he himself has collected, and quickly goes to work, penning the very first story of Jesus Christ. In his words, it's the "The beginning of the gospel of Jesus Christ." It tells the story of how Jesus, now risen, gives second chances to the people closest to him, people who denied and deserted him. It is also this story- Mark's Gospel- upon which all the other gospels now depend.